Register your camper in Tennessee through your county clerk's office. Registering a camper in Tennessee requires having the proper documentation, emissions testing, liability insurance and payment of registration fees. Managed by the Tennessee Department of Revenue, the registrations are processed through the county clerk offices that are located throughout the state. A camper registration, whether new or used, has the same requirements and processes as that of a car or truck. All vehicle registrations in Tennessee require the title or bill of sale and a proof of identification, such as a valid driver’s license or state-issued identification card. The vehicle registration form, available at your local county clerk’s office, will also need to be filled out and submitted with the rest of the documentation. If your car is new, you will also need to provide a copy of your current registration, the Manufacturer’s Statement of Origin (MSO) and the invoice for the new vehicle. For a used car, the needed documents include a valid Certificate of Title and an Odometer Disclosure Statement. The latter verifies an accurate odometer reading and is used when a vehicle is sold from one person to another. If you live in Davidson, Sumner, Hamilton, Williamson, Rutherford or Wilson counties, proof of emissions testing will need to be shown when registering your camper. The Air Pollution Control Division of the Tennessee Department of Environment and Conservation requires that motor vehicles manufactured in 1975 or newer and have a gross vehicle weight rate of 10,500 pounds or less, be tested for emissions in these counties. 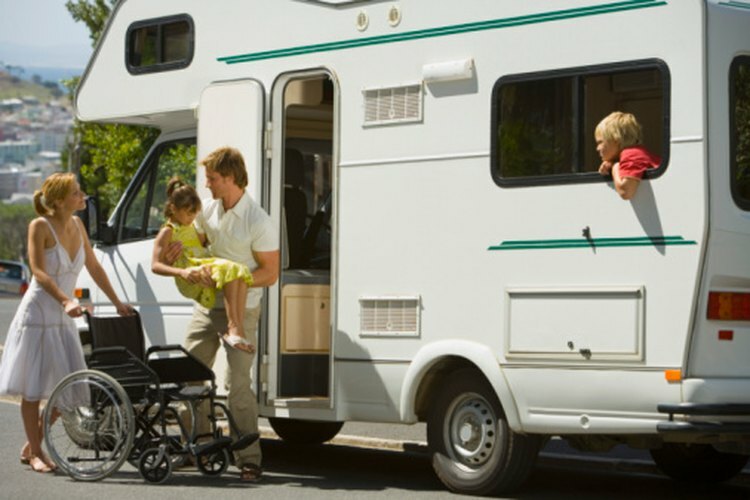 Recreational vehicle owners must also have liability insurance before being able to register a camper. The insurance protects you if you have an accident where another person is injured or their property is damaged. The cost of insurance will vary depending on location, driving history and insurance provider. You must go to a local Tennessee county clerk office to register your camper. At this time, there is no uniform way to register a vehicle online throughout the state. Some counties, such as Benton, allow you to receive an online version of the Tennessee Car Registration Handbook and to have your registration forms compiled online, but you must still visit a county clerk office to complete the registration. Check with the clerk’s office in your area for specifics regarding online registration services. If you encounter a problem with registering your camper, such as not having the proper title, you may be able to obtain a temporary vehicle registration called a “Red Tag.” The application for this temporary permit is available at the county clerk’s office. A photo ID, proof of ownership and documentation showing that you are working to resolve the problem must be presented to the county clerk. Check with your local county clerk office to find out the price of registration fees in your area. Costs include state and local fees and can vary by county. You cannot receive a temporary registration due to a failed inspection.